This is a veneer sled that I use to join veneer. I made it out of white pine because it is very stable. The sled runs in the miter grove of the saw. I ripped the left hand side of the sled on the saw. The blade is even with the side of the sled. 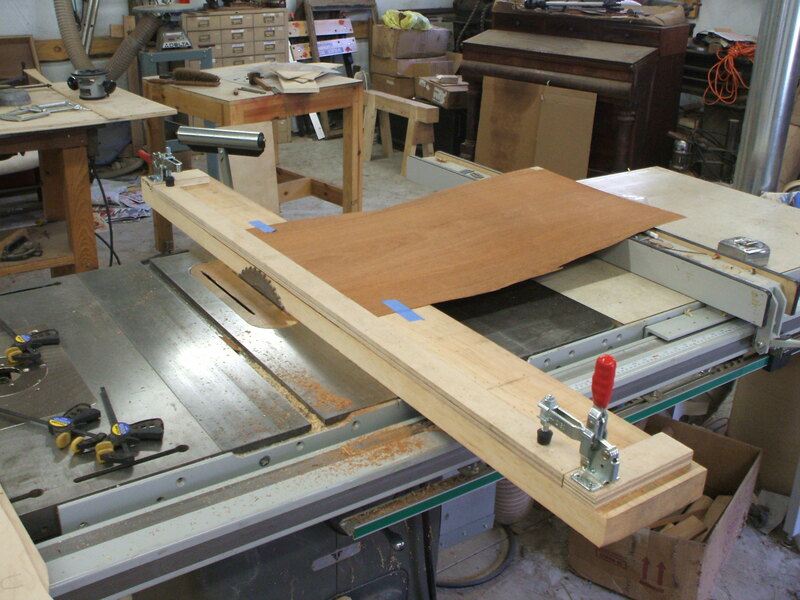 The board that holds the veneer is bowed so the clamps hold the veneer tight to the sled. Sleds can be made any length to accommodate different length of veneer. This one is about 6′ long. This entry was posted on January 6, 2012 by furniturewithhistory. It was filed under Veneer Work and was tagged with table saw, veneer, veneer sled, white pine.